Charlie Hoertz is sold on turnkey exhibiting. 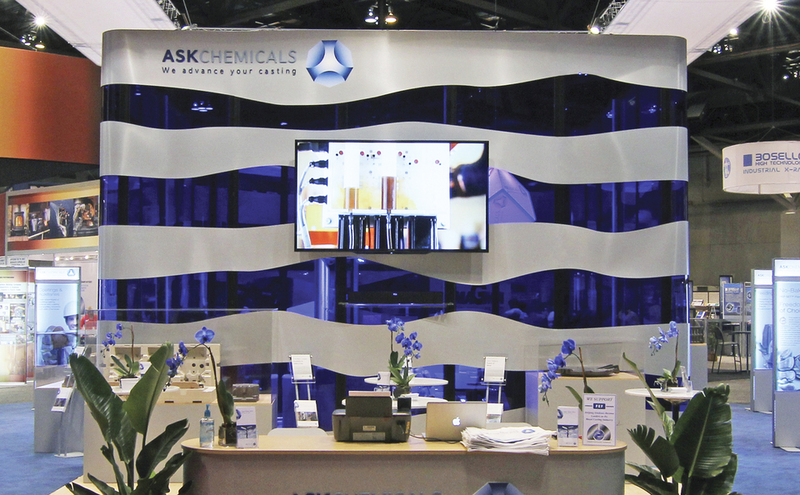 At the western hemisphere’s largest trade show for metalcasting, ASK Chemicals relied on Skyline to manage every detail related to its 50’-by-50’ booth space - exhibit production, shipping, installation and more. A competitive process turned into a “no-brainer,” Hoertz says, because “Skyline offered more services at a lower cost.” That freed Hoertz to concentrate on marketing activities instead of logistics. 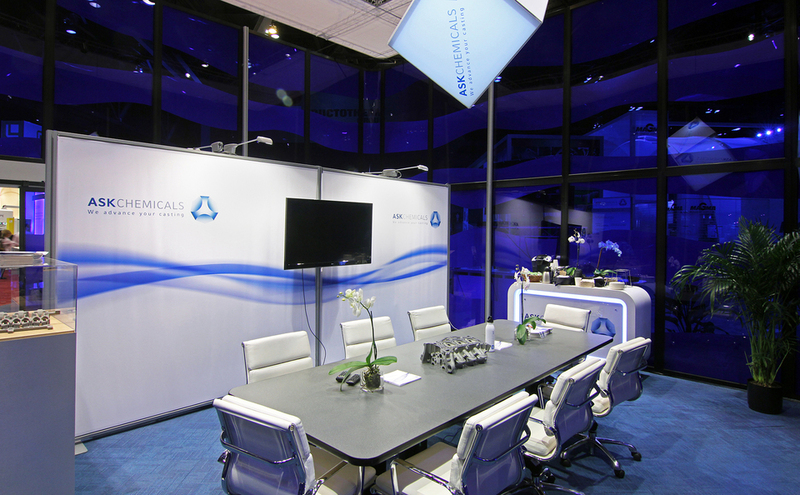 Given a design and corporate standards developed by a German firm, Skyline translated a booklet into a custom modular exhibit featuring a 35’-by-35’ hanging structure for can’t-miss visibility over a 20’-by-20’ main structure. 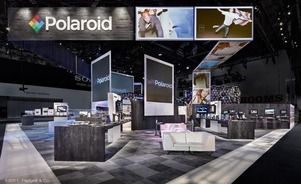 Backlit stands with two-sided graphics promote six product areas. Kiosks explain the custom solution behind the customer success story in 15 castings on display cases. ASK saved money by renting exhibit frames to supplement its purchase of frame components and custom graphics. 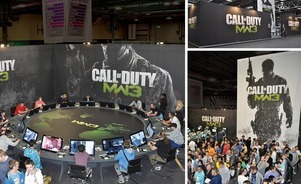 The only question is which configuration to use at smaller shows throughout the year. You're a major player in your industry and want to make a statement with your presence. You want a responsive exhibit partner that provides expert service, high design, reasonable exhibit operating costs and maximum event marketing ROI. You know that trade shows can be a fantastic place to market your company. High-quality buyers actually pay to come see you -- giving you more face-to-face time with clients in a few days than you may get the rest of the year. Skyline offers trade show and event exhibits to match any size and budget, ranging from tabletop displays and portable displays to modular inline exhibits and large-scale island exhibits. 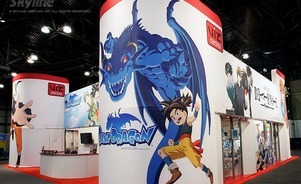 Knowing that one size cannot fit all exhibiting, VIZ Media craved different looks and layouts designed to fit different needs with different audiences for each of its three divisions. 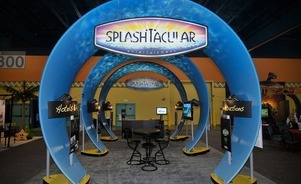 For making attendees feel like they were taking a plunge in a giant tube waterslide, the SplashTacular® Entertainment exhibit won the Best of Show award at the WWA Symposium & Trade Show. 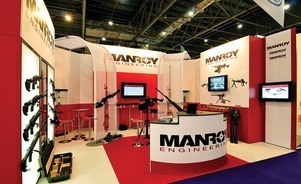 A corporate rebranding, a new logo, and recent acquisitions convinced Manroy PLC to upgrade from a do-it-yourself display to a custom modular exhibit. Skyline is your best choice for island exhibits of all sizes. Skyline has the scope and experience to help you generate leads and build your brand.